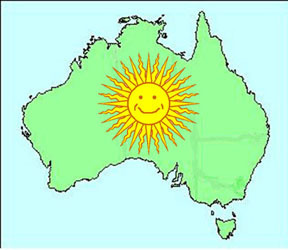 Look out, New South Wales, the uranium economic downward plunge beckons! Look out – New South Wales residents! You thought coal seam gas exploration was a threat? And it probably is. But now, your government, in its unwisdom, is going to allow uranium exploration. The yellow area shows the area of uranium mineralisation in New South Wales. 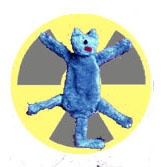 Very handy, I suppose, to where some of Ziggy Switkowski’s 50 nuclear reactors will supposedly be positioned. Paladin’s annus horribilis worsens, The Age, Peter Ker February 15, 2012 URANIUM miner Paladin Energy has managed to underwhelm the market yet again, despite the worst aspects of yesterday’s $US120.2 million loss being known for several months. Some of the negativity appeared to be linked to ballooning expenses, despite chief executive John Borshoff cutting his own pay by 25 per cent and reducing exploration in an effort to rein in costs. 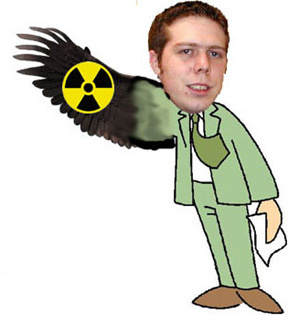 O’Farrell’s 180 degrees on uranium a toxic turn,Senator Scott Ludlam, February 14th, 2012. The New South Wales Government appears poised to commit a random act of colossal stupidity, following reports that the NSW Cabinet will move to overturn the state’s 26-year uranium ban. Greens spokesperson on nuclear affairs Senator Scott Ludlam said Premier Barry O’Farrell should stick to the position he held before being lobbied by the uranium industry and Federal ALP minister Martin Ferguson. “Uranium mining in the Northern Territory has a long and sorry history. More than forty years after Rum Jungle’s closure, the Federal Government recently committed eight million dollars over four years just for an attempt to figure out how to clean up the mess. Nuke South Wales? Uranium plan is unsafe and unwelcome, Dave Sweeney, AUSTRALIAN CONSERVATION FOUNDATION 15 February 2012 State government plans to open the door to the uranium mining in NSW are ill-considered and out of step with community opinion, the Australian Conservation Foundation said today. The last independent assessment of the Australian uranium industry – a 2003 Senate Inquiry – found the sector is characterised by underperformance and non-compliance, an absence of reliable data to measure the extent of contamination or its impact on the environment and an operational culture that gives greater weight to short term considerations than long term environmental protection. NSW’s peak environment group condemns Government green light for toxic impacts of uranium mining February 15th 2012 The state’s peak environment group, the Nature Conservation Council of NSW, has strongly condemned Premier O’Farrell’s decision to overturn a 26‐year ban on uranium exploration in NSW. “The O’Farrell government’s uranium exploration proposal leaves our local communities and our environment exposed to serious pollution risks and a persistent legacy of toxic waste,” Chief Executive Officer Pepe Clarke said today. legacy of radioactive mine waste, placing workers, local communities and the environment at risk. Greenpeace campaigner Julien Vincent called the expected announcement an “insult”….. “Next month we are marking the first anniversary of nuclear disaster in Fukushima, which is one of the best reasons for not going nuclear,” he added. Uranium mining is banned in Queensland but allowed in Western Australia and South Australia. ‘Cardiologists exposed to radiation susceptible to tumors’, Jerusalem Post, By JUDY SIEGEL-ITZKOVICH02/15/2012 Israelis publish evidence of brain cancer as occupational hazard for certain medical specialists. FORMER Australian ambassador Richard Broinowski feels sorry for South Australia because of its uranium industry. CHRISTOPHER RUSSELL Business Editor , AdelaideNow , February 14, 2012 In a rowdy lecture at UniSA’s Hawke Centre, Mr Broinowski said the days of the industry were numbered following the Fukushima disaster. Mr Broinowski, a former ambassador to South Korea and to Vietnam, is now an adjunct professor at the University of Sydney. He declared himself to be a member of the anti-nuclear industry and in a lecture to about 150 people at the Hawke Centre on Monday night, gave a taste of a book he is writing on Fukushima and its political fallout. He predicts the collapse of the nuclear industry in Japan within ten years. The end was nigh even though Japanese prime minister Yoshihiko Noda did not have the same “fire in the belly” to close the nuclear industry as predecessor Naoto Kan who was in charge at the time of earthquake and tsunami disaster. “The Japanese have turned the corner,” Mr Broinowski said. “There’s going to be change. Big quake risk said greater at Fukushima Outcome Magazine, TOKYO, Feb. 14 (UPI) — The risk of strong earthquakes at the Fukushima nuclear plant increased after the magnitude-9 tremor that hit Japan last March, scientists report. A study using data from more than 6,000 earthquakes shows the March 11, 2011, tremor caused a seismic fault close to the nuclear plant to reactivate, a release from the European Geosciences Union said Tuesday. “There are a few active faults in the nuclear power plant area, and our results show the existence of similar structural anomalies under both the Iwaki and the Fukushima Daiichi areas,” study leader Dapeng Zhao, a geophysics professor at Japan’s Tohoku University, said. Australian Made Solar Roofing Panels Provide Heat And Power by Energy Matters, 14 Feb 2012, In an effort to bring Australia in line with an international zero-emissions building code, researchers from the University of New South Wales (UNSW) are working on a system to better harness the power of solar energy to generate electricity and heating for homes. A prototype rooftop solar power system developed by UNSW’s School of Photovoltaic and Renewable Engineering (SPREE) that combines photovoltaics with thermal technology has demonstrated the ability to produce warm air throughout winter. Unlike conventional PV systems with solar cells mounted on top of the roof of a house, the UNSW technology is designed to be integrated into roofing panels, allowing excess heat generated by the panels – which would otherwise be wasted – to warm the home. The research is part of a series of ‘carbon-positive’ products that will be tested and further developed by the Cooperative Research Centre (CRC) for Low-Carbon Living at UNSW later this year; aimed at bringing Australia in line with Europe and the UK, which plan to introduce a zero-carbon building code in 2016. Professor Deo Prasad, head of the CRC, says when it comes to lowering Australia’s carbon footprint, the biggest savings can be made in energy efficient buildings. 1 Million Plus Renewable Energy Jobs In Europe, by Energy Matters 15 Feb 12, The European renewable energy sector had more than a million people employed by the end of 2010 according to the recently released EurObserv’ER report, “The State of Renewable Energies in Europe”. All 27 European Union member states had over 1,114,000 people employed in various renewable energy fields in 2010, a jump of 25% on 2009 figures. The biggest employer was solid biomass at 273,000 jobs, followed by photovoltaic solar (268,110), then and wind power with over a quarter of a million jobs. With the photovoltaic sector booming in 2010, a 50% increase in jobs in countries such as Germany and France occurred. In Italy, job numbers increased by over 70%. With sales of 45564 million euro in Europe’s markets in 2010, solar eclipsed wind power as the top earner. Aboriginal elder Hilda Kickett, 68, who has been accepted as Mr Hancock’s love child by his widow, Rose Porteous, said some of the relatives of seven other suspected part-Aboriginal children of the late mining magnate were even paid royalties from mines opened on their traditional land. Mr Hancock, who discovered iron ore in the Pilbara, once called for part-Aboriginals to be sterilised.